Spring is here! Flowers, bees and on 1 May each bird has its nest and eggs…. Volkswagen buses and beetles are going on picnic, old timers and convertibles are ‘everywhere’. Spring is such a lovely season! Will it become soon spring for our economy too ? “Rolling Thunder” that’s how you can call it, the recession, almost completely provoked by reckless bankers, who saw their useless efforts, remunerated with extremely high and exorbitant bonuses (after their frequent and abundant ‘downloads’) melting away into a system such as an economic air bubble. It is called now the greatest economic depression since World War 2… Strange, that just these bankers, which are people we SHOULD trust, have done such a thing. Chin up! Our hobby remains pleasant. There have never been more lovers of beetles and with the buses and Karmann Ghia’s we’re growing a lot…and that’s a good thing! The meeting season is coming along. The Winterfestijn, Ninove and Volksworld Show are already done and we’re counting down to Hessisch Oldendorf with the BBT Open House and the week after there will be the next edition of European Bug In. 2013, A blessed year by the VW Gods as this year we can just sample another of VW’s finest, the Hessisch Oldendorf vintage VW meet in the picturesque vintage town center of Hessisch Oldendorf situated Lower Saxony, Germany. It is situated on the river Weser, approximately 10 km northwest of Hamelin. Strictly Vintage Volkswagens, this is a once in a lifetime opportunity occurring only once every 4 years… so better don’t miss out! Come on Thursday afternoon, June 20th to BBT HQ Open House with live music and several acts. Show up in your Volkswagen with rear mounted engine (beetle, bus , whatever) and receive free food and drink coupons. Enjoy and share with us… festivities start at 4.00 pm and we plan to end (as we have to drive the next day) at 9.30 pm. Do you have a VW with rear mounted engine? Join us on the most massive Vintage VW cruise of the world! We expect more than 250 vintage VW jewels to participate this year. Register HERE and pick up your Drivers Badge at the information desk for free recovery (BBT assistance is halfway and in the rear end of the Convoy)… we provide a roadbook for registered participants which will be handed over together with the badge at the registration stand. Enjoy world’s best vintage VW event at Hessisch Oldendorf from Friday afternoon June 21 till Sunday June 23. For the people interested to return with us in a much smaller convoy (of course also with assistance), we’ll leave together on Sunday at about 2.30pm from the first gas station on the Autobahn A2 in direction of Dortmund. The exact name of the gas station will figure in the roadbook. So come in great force and celebrate with us these massive festivities! Click HERE to visit the BBT Convoy website and find out what cars will be present. Inside BBT… Is there another Bob with BBT? Yes it looks like my name is no longer unique here.. for the sake of convenience and to prevent mistakes we shall call our second Bob: Robert. We really want to thank Frank for his outstanding apply, enthusiasm, loyalty, willingness, motivation and responsibility to do his very best to manage “his” dispatch dept. in the best way. We will surely miss him in the office. On the other hand he looks forward meeting our customers again and making deliveries as smooth as possible with his best knowledge and experience. For sure Frank will face his new challenge with his best motivation for what we know him so well for. Kukie works more than 5 years in the BBT warehouse and was called senior warehouse manager with a lot of pride…. He managed once during electrical breakdown to pick still certain parts without computers or PDA device, just out of his head and in the dark! Not an easy task in a 6500+ references parts warehouse! So Kukie will take over dispatch in the coming weeks. He will have to learn a lot, what we will try to do with as less as possible inconvenience for our customers. Dispatch is a very important dept. regarding our service and handles all picking, packing and transport at BBT’s sales side. We wish Kukie a good take off and lots of joy in his new challenge what will for sure change his way of life…. Feedback and reactions are always more than welcome on the well-known BBT e-mail addresses. Since the beginning of 2012 BBT collaborates with VW Sunroof to represent them as their distributor in Europe. In this way it is possible to help lovers of the classic VW with sunroof efficiently with their search for parts for maintenance, restoration or repair of the sunroof mechanism. 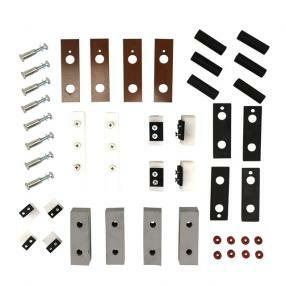 The range has meanwhile been expanded to more than 62 different items and with this rebuild kit and rails we can help owners of sunroofs even better. 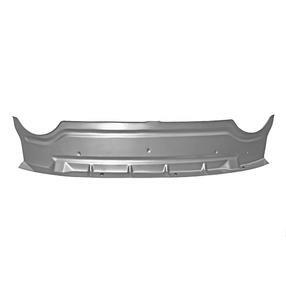 The VW Sunroof parts are available from stock. You can replace the gas cap seals, hardened or damaged by fuel vapors, so that no fuel and/or fuel vapors can escape from the fuel tank anymore. Available each from BBT production. BBT's products line is working from the beginning with the slogan "Commitment to quality" and with this vision in mind we have improved the existing cup holders for Type 2 03/55-07/67 with BBT code 0548-200, 0548-210 & 0548-220. 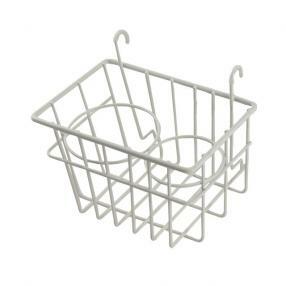 With that result that the assembly has been improved and the height of the baskets has been changed, so that it is now more practical to take f.i. a can. The cup holders are apart from black and white, now also available in chrome. 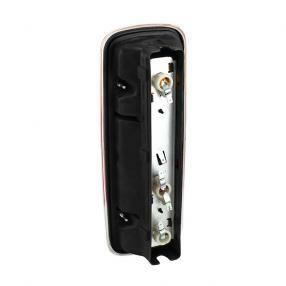 The original taillight housing is often severely damaged by corrosion on many buses from type 2 08/61-07/71. Furthermore for many imported US models the American version of taillights consisting of 1 lamp holder must be adapted to fulfill to European regulations. The lamp holder has 2 bulb holders, that have 2 connections for the lamp, whereas the blinker has 1 connection. The mirror is duly chromed for an optimal reflection and the coupled gain of light. From now on we can deliver a good reproduction according to the European model with 2 lamp holders, each from stock. We already had the complete taillight units for Type 2 08/71-07/79 in our program though in an alternative quality. The original quality was just for now a quite expensive. Meanwhile BBT has been looking for a better quality that we present now and also with E-mark. Available each for each side from stock. 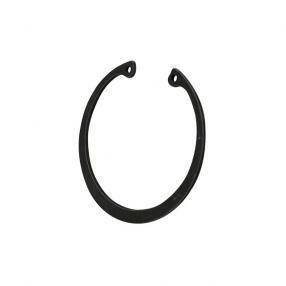 Originally there is a rubber seal around the lock cylinder of the sliding door on Type 2 buses 08/73-07/79. 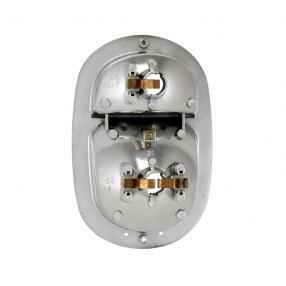 This seal takes care of a nice finish between the outside of the lock cylinder and the outer panel of the sliding door. It prevents moisture, dirt and dust to enter through a small crack into the inner part of the sliding door and that it can effectuate its destructing work. From now on each Type 2b owner can obtain this seal each from stock. On Type 1 Beetle from 08/67 you can find at the underside of the lateral heater channels inspection holes at the front as well as at the rear, that allow to inspect the inside of the channels. These holes were sealed in the factory by means of rubber valves. After many years these valves can get hardened and/or lost. From now on BBT presents you these valves in an original quality from stock. For 1 vehicle you need 4 of them. This metallic inner panel is assembled in the front of the cabin to reinforce the front cabin floor. The panel can get damaged after a frontal accident or by corrosion between the floor and the inner panel caused by moisture seeping on the floor plate. The inner panel can be replaced now in a good reproduction with a nice fit. Available each from stock. 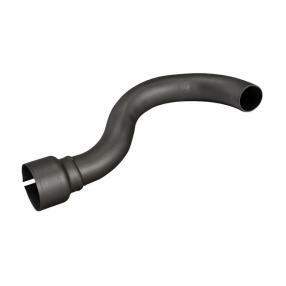 We've been looking for more than 2 years after an efficient way for the exact reproduction of the tail pipe used at the end of the exhaust on Type 2 07/59-07/67. Finally we've achieved to fabricate the correct model, with the exact bend and fit. From now on you can replace your damaged item by a model with the correct bend. On this way only exhaust gas can be expelled in a correct way and the rear bumper won?t be spoiled by exhaust gas. The exhaust tip is coated with a grey heat resistant paint that guarantees a long lasting and nice finish of the end tip. From now on available each from stock. 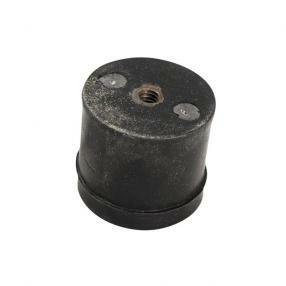 The mounting kit tail pipe is available under ref. BBT # 1001-20. Since 08/71 an important adaptation has been effectuated to raise the capacity of reducing speed on Type 2 buses considerably. Since 08/71 front brake disks have been installed resulting in a considerable improve and less maintenance. 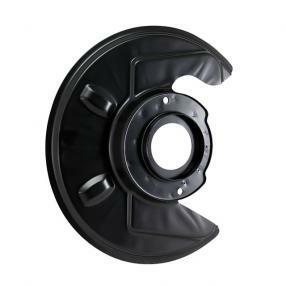 An indispensable part in this construction is the dust cover that partially protects the inside of the brake disk, the front wheel bearings and the brake caliper. Stone-dust can deform the dust cover, whereas sand and humidity cause corrosion. From now on BBT presents new dust covers from VW Brazil for each side from stock. 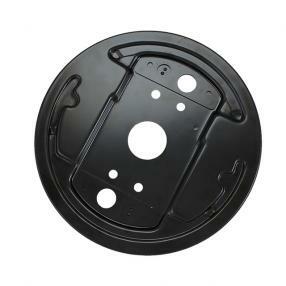 BBT already has a large range of backing plates from own production available and with these front backing plates for Type 2 08/63-07/67 our assortment is again a bit bigger. 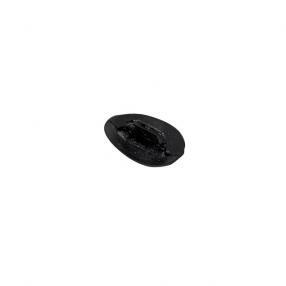 From now on these backing plates are available in a good quality a piece for each side from stock. The connection between shifter and gear box contains of a couple of guides and seals, which should always be in impeccable condition. If these guides are not replaced in time when old or ripped, the shift rod can get damaged. 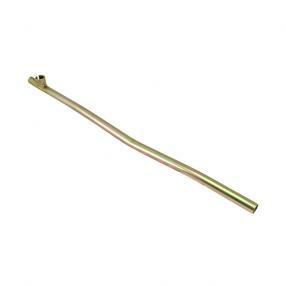 The shift rod that we have now in stock for Type 2 08/75-07/79 can replace items, damaged by play or corrosion. Available each from stock. 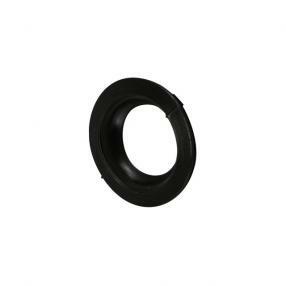 The lower bearing in the reduction gear of Type 2 08/63-07/67 is secured by means of clips. These clips can get stuck and/or can get damaged when replacing the bearing, therefore you need to use new clips to secure the bearing. From now on BBT can deliver these clips each from stock. This transmount can be found at the nose in front of the gear box and makes that the gear box and engine are duly kept assembled on the body. 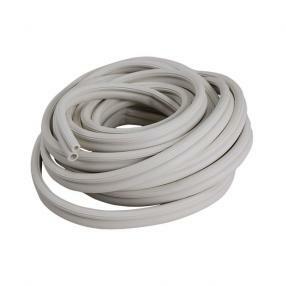 The rubber can get damaged due to dehydration and the influences of leaking oil so that a good connection without vibrations between the driving part and the body is no longer secured. Sold each from stock. Okrasa sounds quite familiar in the ears of fans of Vintage tuning. BBT can help with valves, camshaft, carburettors etc. but until now there was no alternative for the crankshaft. Meanwhile there is a solution on the market and BBT hasn't hesitated to enlist it in its program. 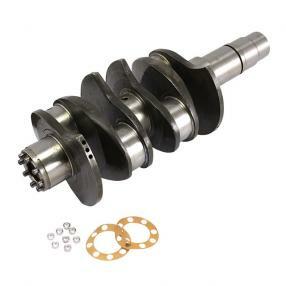 This 69,50 mm forged counterweight crankshaft is balanced and made from 4340 steel alloy. The rod valve and crankshaft bearings are nitride HV 500 hardened. The flywheel is assembled with 8-pins. 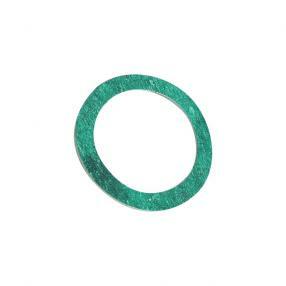 Available each from stock, push rod tube seals and flywheel gaskets inclusive. We used to deliver fuel pumps for Type 4 engines for years as second hand parts from stock. 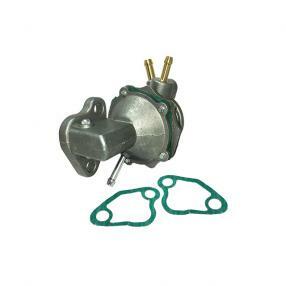 Meanwhile the previous years it became more difficult to find good used fuel pumps for revision and that?s why we?ve been looking for a good alternative to replace damaged or completely used fuel pumps. Our purchasing team has laid hands on a good reproduction of Type 4 engine pumps. These pumps are delivered each seals inclusive. 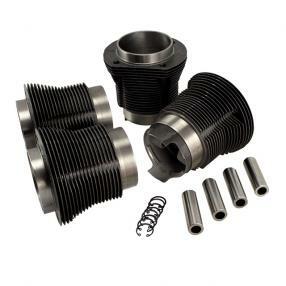 This piston and cylinder kit of AA Performance is suitable to tune your 1600cc engine block to a cylinder capacity of 1679cc. The side of engine case doesn?t need to be adapted, when it has a standard bore of 90 mm At the side of the cylinder head there should be a bore of 98 mm. The kit contains 4 cylinders, 4 pistons, 4 piston pens and 4 pairs of clips to secure the piston pens. From now on these kits are available from stock. This rubber beading facilitates a good assembly on the sides of the headliner on Type 2 03/61-07/67 possible. Available from stock as a set, sufficient to finish 1 bus. We're proud to announce our new product line for Type 25 buses. 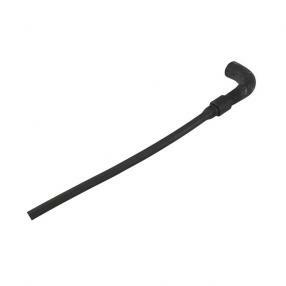 The coolant hoses are hard to obtain as repair parts and even second hand coolant hoses are presented on several online markets at considerable prices. The BBT purchase team has made some serious research in order to have all types of coolant hoses available at a perfect price/quality rate. From now on BBT can present a good alternative for your hardened and/or broken items. The rubber hoses are sold each from stock and also the original constant tension clamps can be delivered each from stock.